For the first time, Dorothea Wierer from Rasun stood on the top of the podium in her home race. For the first time in her career, she rejoiced about a success in a pursuit race. 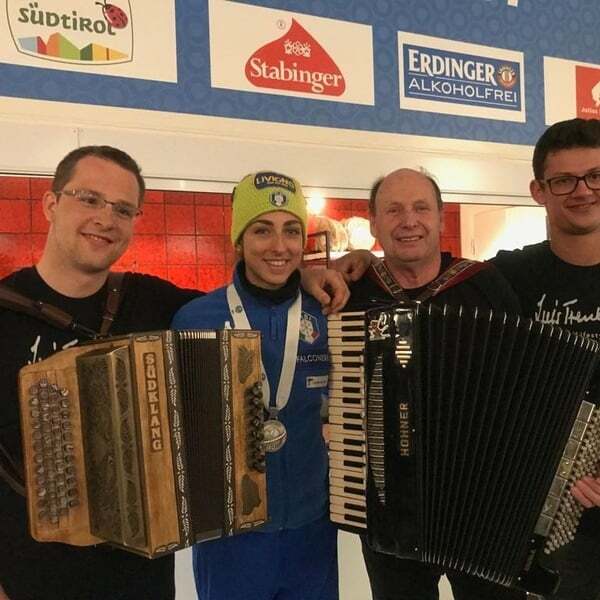 On Saturday, Dorothea Wierer really popped that crowd of 25,000 spectators in the fully sold out Biathlon Center in Anterselva: she won the women's pursuit race over 10 km and catered for immense celebration in the Südtirol Arena Alto Adige. The 28-years-old rejoiced about a long awaited triumph in front of her home public, her first one in this discipline. Wierer hat started in the pursuit with a lag time of 15 seconds. After one penalty loop in the first shooting, first she didn't succeed in catching up with the lead. However, soon the situation changed: in the two following units in the shooting range she shot faultless and on the track she caught up with one rival after the other, so that she reached the last shooting in first place. There she missed one target but, as her competitors also missed, the mistake remained without consequences and the world cup leader reached out for a highly cheered triumph. 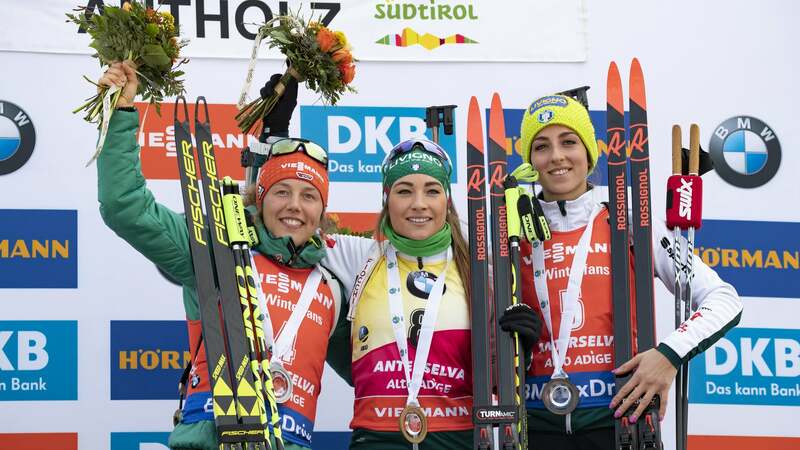 With her third victory of the season, Wierer also achieved the first success of an Italian women in Anterselva. Up to now, only Italian men had made it on the top of the podium here: Johann Passler (1988), Pieralberto Carrara (1993), Renè Cattarinussi (1999) and Lukas Hofer (2014). 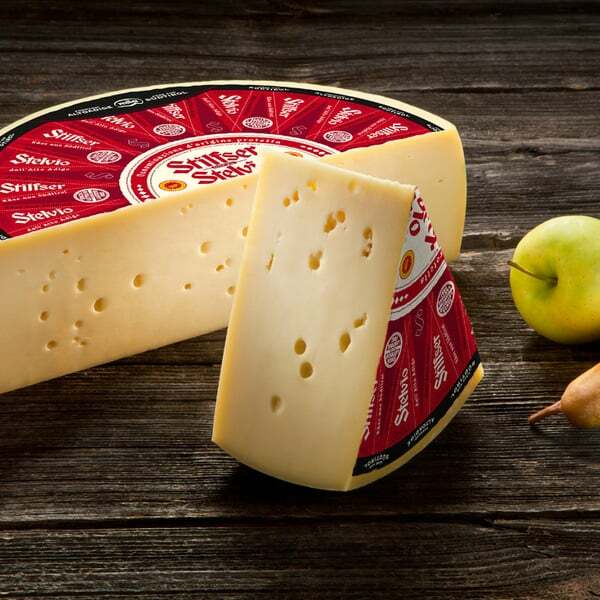 From today, the Italian team can claim 19 podium rankings in the Südtirol Arena Alto Adige. Besides Wierer, her team mate and strongest adversary in the competition for the large crystal globe, Lisa Vittozzi, also climbed onto the podium. The whizz kid from Friuli duelled long with Wierer and offered then a thrilling contest with the German double Olympic champion Laura Dahlmeier. 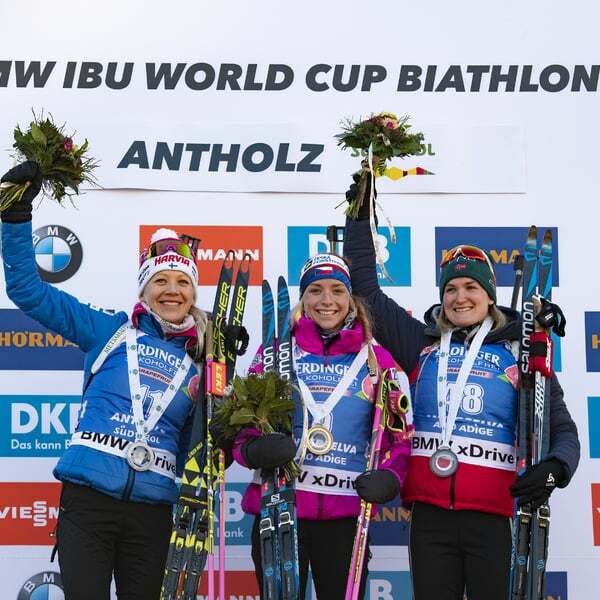 In the end, Vittozzi lost the second place during her penalty loop after the last shooting as Dahlmeier, fourth in the sprint, overtook her. Behind Dahlmeier and Vittozzi, Marte Olsbu Roeiseland from Norway finished fourth. Sprint winner Marketa Davidova came in right after Nicole Gontier from Italy on rank 14. Federica Sanfilippo from South Tyrol finished 47th. 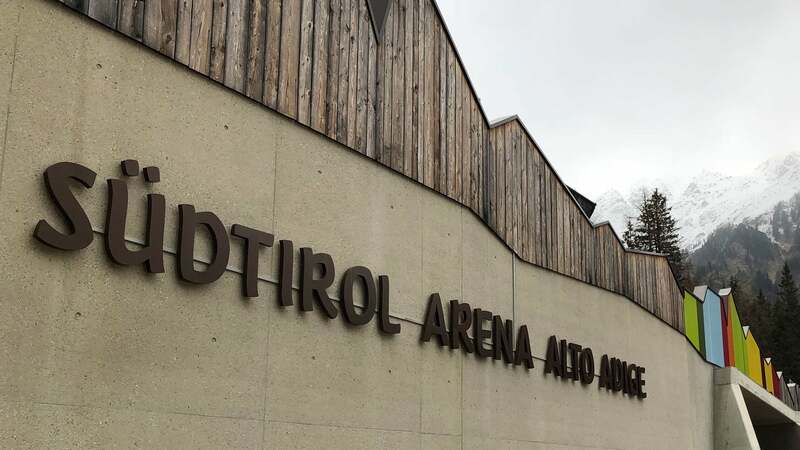 In the late afternoon, the Südtirol Arena Alto Adige sees the pursuit race of the men. On Sunday the Anterselva World Cup event is closed by the mass start competitions. 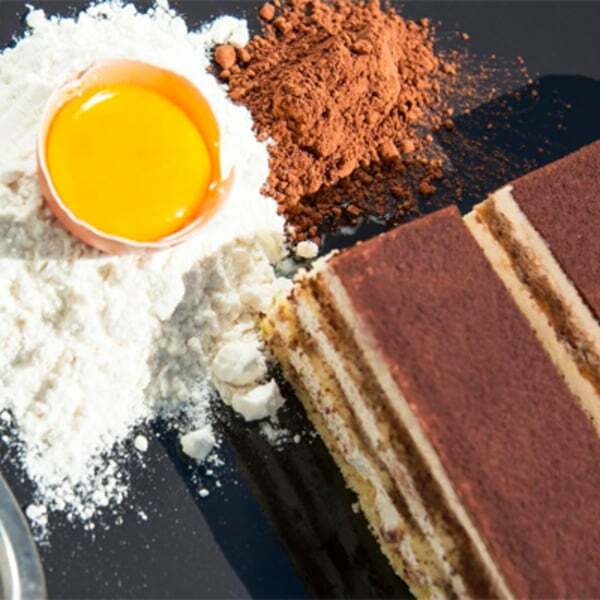 Dorothea Wierer (ITA), 1st place: „It was an indescribable feeling today. I saw my family along the track, heard their cheering, and then I really gave it all. I already finished second and third here, now the curse is broken. I am overjoyed." Laura Dahlmeier (GER), 2nd place: „It was a very good race, I am satisfied. Yesterday's day off gave me a lot of energy and today's material was very good. In the shooting range I could have done better, but the second place is a super result." Lisa Vittozzi (ITA), 3rd place: „The atmosphere and the noise in the stadium were simply great. I had difficulties in fully concentrating on shooting. Unfortunately I had some misses, but still, this result is a real success. And tomorrow I have the chance to do better."